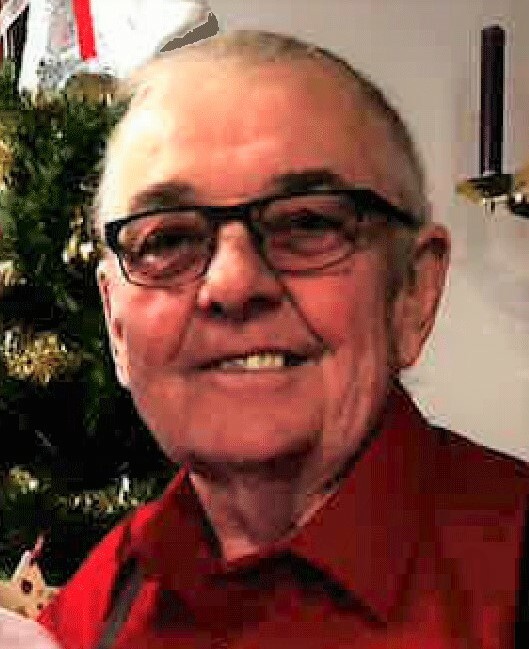 Stewart E. “Skip” Lorenz, age 75, resident of rural Lawton, ND, died Wednesday, March 20, 2019 at Valley Eldercare Center in Grand Forks, ND. Stewart Erwin Lorenz was born August 12, 1943 at Devils Lake, ND, the son of Erwin and Agnes (Helland) Lorenz. He lived on the family farm near Lawton his entire life. He attended the Triumph Township School and graduated from Lawton High School. He then attended North Dakota State College of Science at Wahpeton, where he majored in diesel mechanics. His entire life, until retirement, was spent farming the family farm. Skip enjoyed golfing, playing billiards, and his vast collection of jokes. His shop on the farm was his pride and joy. He spent many hours a day welding, tinkering, and inventing. He enjoyed all aspects of agriculture, planting the seed and harvesting the grain. Watching an eight inch evergreen grow to a stately tree brought him a smile. One of his final pleasures was his Red Baron pickup, which he washed at least once a week. Skip was a wonderful caregiver for his wife, Edy. He lovingly protected her and shared many wonderful years of marriage. Skips body is being donated to the UND School of Medicine in Grand Forks. Skip is survived by his wife, Edythe Lorenz; daughter, Lisa Jean Cormican & her daughter, Taya; son, Leslie Erwin Lorenz (Barb) & his 3 sons; brother, David (Marlyce) Lorenz of Lawton & his 3 children, Ryan (Barb) Lorenz, Rory (Audrey) Lorenz, and Rhonda (Mike) Shirek; brother, Gene (Joan) Lorenz of Bismarck; step-children, Tami Bulik & her sons, Nathan and Levi, and Kelly (Jeanne) Durbin & his sons, Kody and Dylan; and a foster daughter, Caryn (Richard) Harvey. Visitation will be held at the Lawton Lutheran Church, Lawton, ND, on Saturday, March 23, 2019 beginning at 4:00 p.m. with a Prayer Service at 5:00 p.m. The Funeral Service will be held at Concordia Lutheran Church, Edmore, ND, on Sunday, March 24, 2019 at 2:30 p.m. The family prefers memorials to the Lawton Cemetery.